Join a Grace Light Community: Grace Light Empowerment Programs are springing up globally. Experience the dawning of Grace Light with people all over the world. As Grace Light awakens and intensifies over the coming months, hear stories and share your experiences with others. Give & Receive the Light! : Find a local gathering and connect with others in your area who are giving and receiving the light. Experience ongoing Grace Light empowerment with family and friends. Dr. Baskaran Pillai continues in traveling worldwide with public events, and also holds retreats and weekend intensives to personally meet with people throughout the world. Public Blessings will be held Worldwide in order to provide empowerment to as many people as possible during this profound period of human evolution. Many events will be held in multi-faith venues to symbolically acknowledge that Light is not of any one religion, but the universal light that runs through us all. The groups held: Grace Light Induction Audio with Dr. Pillai's Infusion in which the first 4 gates of the subtle body are opened, and 9-Gates Intensives in which all 9 gates are opened and you are taught how to become a "giver" of the light through the DVD Grace Light Empowerment Program. The Intensive sessions is a workshop that involve opening powerful energy centers in the body (Gates 1-9) enabling you to become a "giver" of the light. You will receive a series of initiations (9-Gates process through Dr. Pillai's Grace Light Empowerment DVD transmition) allowing you to manifest your dreams into reality and experience a joyful new perspective on life. Once you receive this initiation, you can offer Grace Light to others. You can attend the Intensive without having attended an Induction (Gates 1-4) Group. The Induction are large and small public blessings where you will open the first four sacred energy centers (Gates 1-4) in the body which provide greater access to divine intelligence. In this introductory session, Dr. Baskaran Pillai, through Audio Transmitin will diffuse old karmas and facilitate the sacred process of awakening your third-eye and heart centers, bringing more loving relationships and divine intelligence into your life. Come feel the power of Grace Light as it ignites your heart. Gates 1-4 Grace Light Group Infusion is offered weekdays on the free tele conference and online availability. Visit Special listings on our Calendar. The Scheduled Meetings/Groups Listed Below. You can also join a local community group in your area and participate in local Grace Light "Giving & receiving" gatherings. As Grace Light awakens and intensifies over the coming months, hear stories and share your experiences with others. Contact a regional coordinator with questions about activities in your area. Give & Receive the Light! If you are unable to attend a public event, you can organize or attend a gathering in your local area to experience Grace Light empowerment and to "give and receive" the light! You can download and print the 'Grace Light Starter Kit' here. Charging for Grace Light sessions is not allowed. If you incur expenses for your gathering (such as renting a hall) donations can be collected to cover the cost. If any overage is collected, it should be donated to charity. 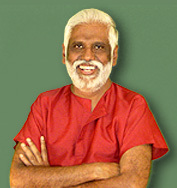 For at least the first two months of your practice, please use Dr. Pillai's tools to guide the session -- either the Gates 1-4 streaming video on the website, or the full 9-Gate empowerment from the DVD. All you need to do is access the streaming video for Grace Light Empowerment (Gates 1-4) or order the full 9-Gates Empowerment process on 2-DVD set which includes a complimentary personal practice CD. You can use these tools with friends, family or to hold Grace Light empowerment gatherings in your area. If you would like to set up a Grace Light gathering, we will add it to the calendar! To add your event to the calendar, please submit your event details here. Primarily Spanish speaking; however, all are welcome and if you speak only English, the English DVD will be used. You may wish to wear socks as the Inner Sanctuary Room is a shoe-free room. Parking Tickets will be validated within the Spa. FOOD DONATION: We are accepting canned food donations for the Fallbrook Food Pantry. If you would like to contribute, please bring your canned food items to the Grace Light Gathering on Sunday. and creating an even more powerful vortex of Love and Peace for healing the planet. Email Contact Sponsored by San Diego HoPE Center, Pillai Center and Tripura Foundation Builds HoPE Join in nondenominational prayer with people around the world!